Pam is a therapy radiographer who joined City University in 1995. She previously worked at Charterhouse School of Radiography. 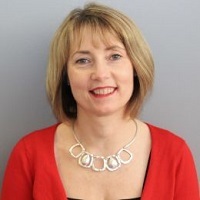 Pam initially worked as a clinical radiographer in the radiotherapy department at St Bartholomew's Hospital London for seven years before becoming a lecturer. She began her lecturing career at St Bartholomew's School of Radiography, moving to The Middlesex School of Radiography and then Charterhouse School of Radiography before joining City University in 1995. Cherry, P. and Duxbury, A. (Eds. ), (2009). Practical Radiotherapy:Physics and Equipment. United Kingdom: Wiley-Blackwell. ISBN 978-1-4443-1618-6. Flinton, D.M., Thorne, R.J., Waller, S., Nelson, N., Thapar-Francis, P. and Cherry, P. (2002). The effect of the recommendation of two different physical activity strategies on fatigue experienced during radiotherapy. Journal of Radiotherapy in Practice, 2(4), pp. 207–214. doi:10.1017/S1460396902000055 . Radiotherapy Fatigue. Disruption to Routine. Holland (2002). Description: Thorne RJ, Flinton DM, Cherry P, ISRRT World Conference.